“Want to play a game?” People say yes to this question more often than not. Games entertain us, they challenge us, and they educate us. Some games challenge us more than others, though. Many people think of crosswords as an “elite” game or a game for academics. But it doesn’t have to be that way. Anyone can enjoy crosswords, and anyone can become better crossword solvers, too. Plus, it doesn’t take a lot of study to improve your crossword game. Instead, you can get better at crosswords by playing more games! Before deciding which games will help you solve crosswords, take note of what skills will make you a good crossword solver. What do you need to know to be good at crossword puzzles? You’ll need a strong vocabulary and good spelling skills. Knowing a lot of synonyms and familiarizing yourself with the thesaurus will help, too. Often times, crossword clues appear to have more than one answer. By knowing lots of synonyms, you’ll have a better chance of finding a crossword answer quickly. Then, of course, knowing lots of trivia will help you with crosswords, too. Many crossword clues reference specific people, places, or events. Knowing a little about a lot will make you a better crossword solver. If spelling, vocabulary, and trivia are key to solving crosswords, then games that will make you better at crosswords will focus on these skills. This list includes only a fraction of the games that will make you better at crosswords. Start with the games you’re less familiar with on this list or the ones that are harder for you. This classic trivia game will help you learn about those obscure references in crossword clues. If you find that clues from a certain theme or decade give you a hard time, find an edition of Trivial Pursuit to help you out. For example, if you never get 80’s-themed crossword clues, play a Trivial Pursuit for that decade. Do you ever go to Wikipedia to learn something simple like the scientific name of a plant just to discover you’re reading about fashion trends of the 1700’s? There’s a game based on this Wikipedia wormhole called The Wiki Game. It’ll help you draw connections between seemingly unconnected things – like in themed crossword clues – in a short amount of time. Both Scrabble and Words With Friends will help you visualize how words fit into a crossword grid better. They’ll also improve your spelling and vocabulary. To add a speed component, try Bananagrams, too. Word searches can help you learn to spell better, especially when there are several “red herring” letters in the word search. (“Red herring” letters look similar to a word on the word list but don’t quite make up the word.) Themed word searches can also develop your vocabulary and knowledge of a certain subject. Solve hundreds of free word searches here. A big part of crosswords is thinking outside of the box. Clues with a question mark at the end, for example, denote a play on words. By enjoying some riddles, you’ll train your brain to think of alternate meanings. Find some great riddles and their answers here. In Scattegories, players try to come up with the most unique words possible for the definitions on a card. There’s a trick, though; they must all start with the same letter. This game will help you think outside of the box for crossword puzzles. 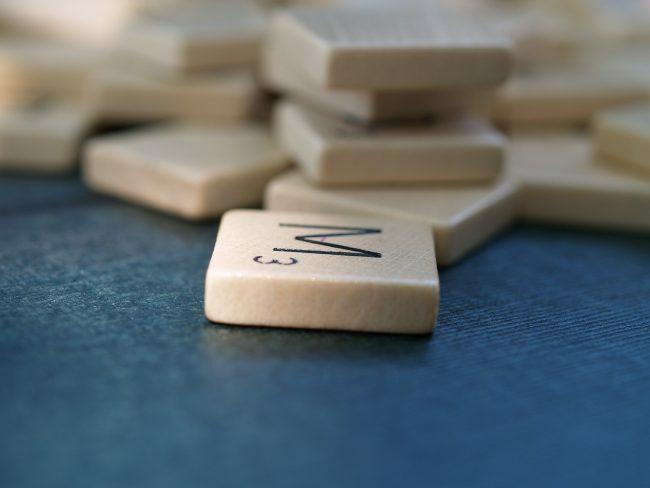 Similar to Scattergories, this game will help your brain draw connections to words when just one letter is different. Plus, it’ll familiarize you with unique clues. You can find lots of free word ladders here. At the end of the day, the best game to make you better at crosswords is… crosswords. Solve a bunch of newspaper-style crossword puzzles to improve your crossword skills. And if your goal is to master the New York Times crossword, use this guide to get you started.